Please send pictures and/or information about the of the USS Underhill crew and I’ll post it here. If you have information you can add about another existing crew member please also send that along. Read more about Stanley here. 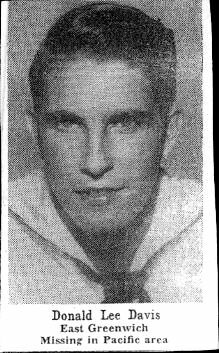 My Uncle, RM3c John Raymond Boyd, served and was killed that fateful day in 1945. The photo (to the left) was taken in Mobile Alabama in 1944. With him in the photo is a women by the name of Clara Tew. 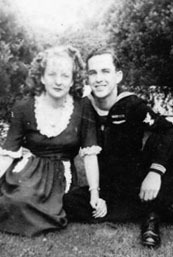 If anyone knowing John Raymond Boyd knew this lady, I would like to have more information on her. My other Uncle, Smitty Boyd (Raymond's brother) told me the lady in the photo was Raymond's fiancee. John Raymond Boyd was born in Natchez Mississippi (Adams County). 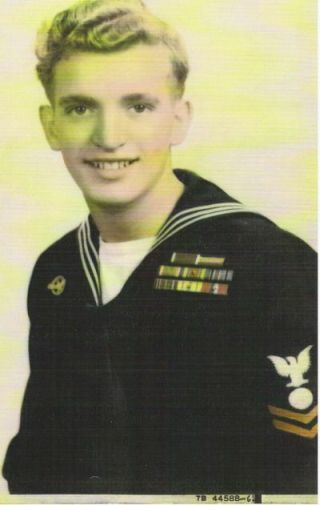 If any of the surviving crew members knew my Uncle, I would like to hear about him from you. I never knew him. I was not born until 1953. 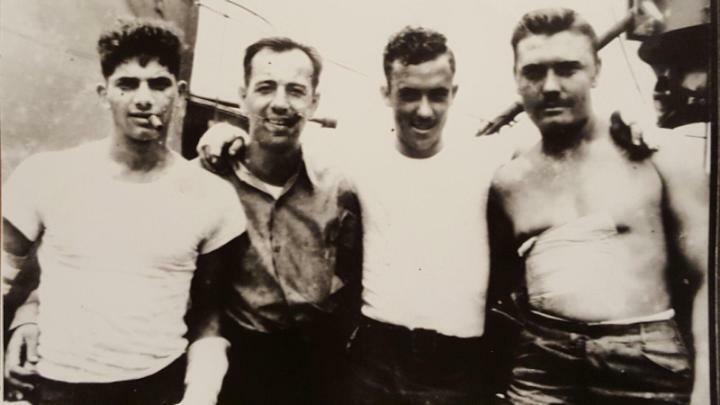 My Uncle is survived by two brothers still living, both in the New Orleans area and both WWII era vets Merion "Smitty" Boyd and William Edwin Boyd. William E. Boyd is my father. I served my country in the US Army for 8 years, I am a Vietnam veteran (1971-1972) and retired from the USNR in 1994. To all of you from the USS Underhill, I say thank you for your service and God bless you. 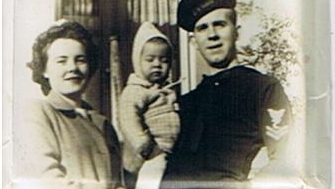 Raymond was born in April 1924 and was 20-21 years old at the time of his death. 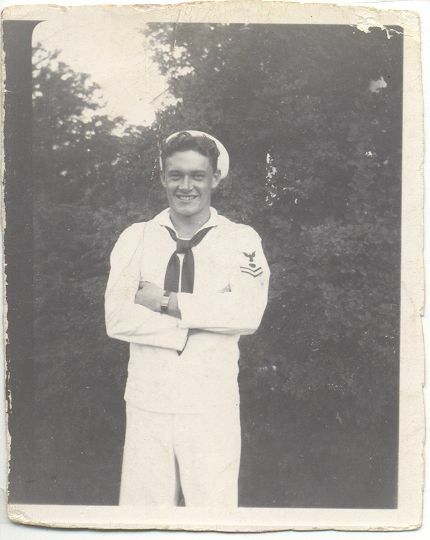 Would you also include the personal message that if any survivor has any information or additional photos of John Raymond Boyd, Clara Tew, or any information about Raymond or Clara to please contact me at my email or home phone. These photos were supplied by Bob Baumgartner son of Carl. My name is Steve Burkett, I am the nephew of Robert Evert Burkett. He was my uncle, that so courageously gave his life for his country. That is why I want to honor him by posting his picture on this website. Here is his story from the Underhill website. Thank You, for honoring the sailors of the USS Underhill. 2145 investigation proved that ship sunk in vicinity was USS Underhill-682. Recovered three bodies pronounced dead by ships doctor. 2215 completed investigation commenced forming cruising disposition ONE VICTOR, base course 155T and pgc, 165 pgc. Speed 15 knots, 138 rpm. 2300 Captain held burial services for men from USS Underhill tentatively identified from marks on clothing as: HIGGINS, E. H.,SMITH E., BURKETT, R. E. all killed in action, details not known. This photo was supplied by Joe Ball, nephew of Albert. See letter from Joe Ball, Nephew of Albert “Buddy” Friel (KIA). The letter was written by Buddy a month before the sinking of the USS Underhill. This photo was supplied by Adam Garrett, nephew of Baxter. 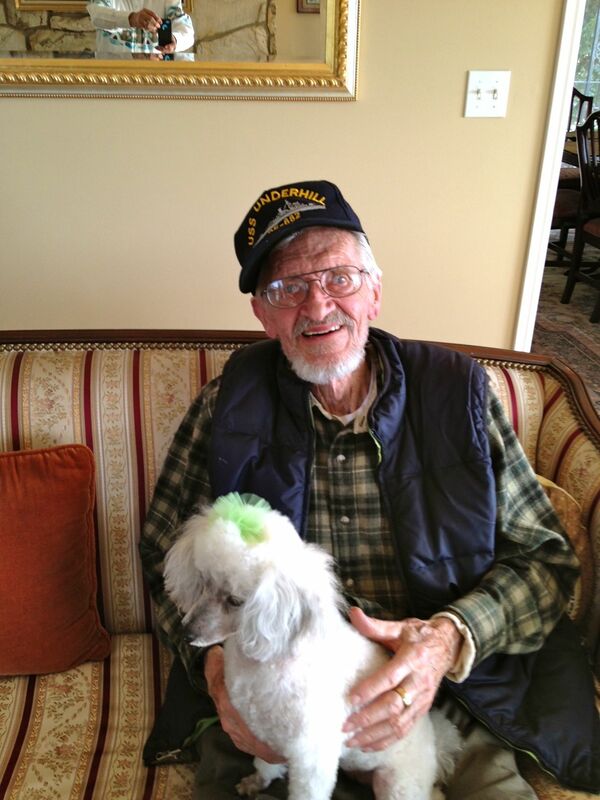 Baxter was a Seaman First Class and a really great young guy. 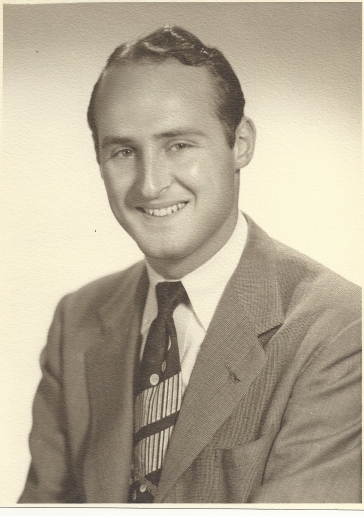 Cecil Heming was the son of Paul and Agnes Heming and was born on July 24, 1926. 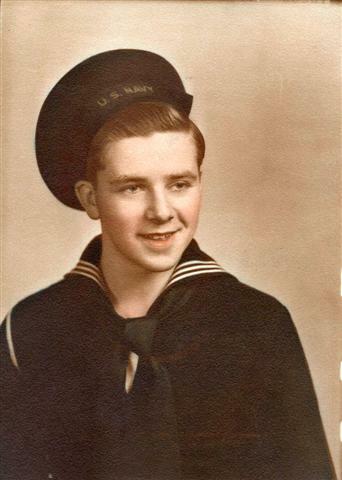 He enlisted on his 17th birthday and was killed exactly two years later on his 19th birthday - July 24th 1945. Cecil had two brothers, Gerald and Rick Heming. 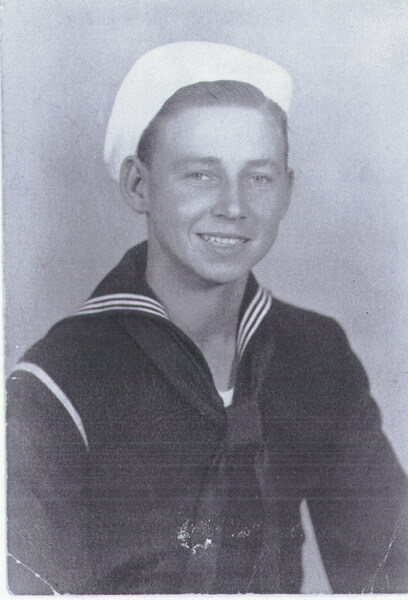 He was a Soundman Third Class and went down with the forward section of the USS Underhill on July 24, 1945. Here is a picture I would like you to put in your crew picture section. It is of my grandfather...John D Houglin. Also, if you can mention me Tim, and my mom (John's daughter) Terri. John died of cancer on October 17, 1990. I can provide many more picture from this time period plus any from the late 80s, for those who knew him and want to see him as I knew him. He was a ship's cook. 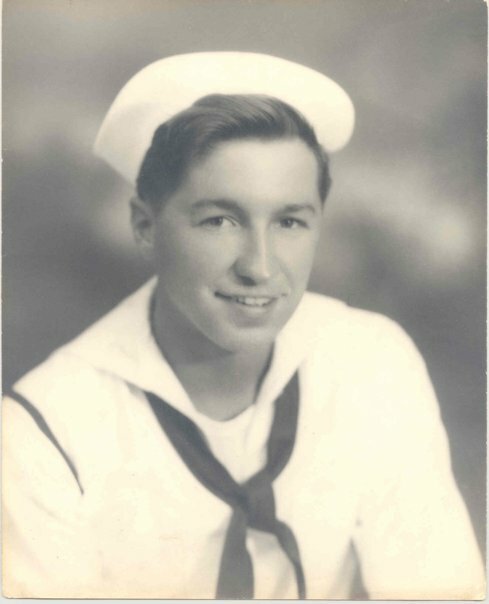 Leonard was born in Chicago in 1901 and was 40 years old when the Japanese attacked Pearl Harbor.He was living in California and immediately enlisted in the Navy although he was beyond the draft age. He had left Chicago in 1924 to go to Hollywood and get into the movies. He did get in “The Vanishing American" in 1925 and some others, but he was not a major level actor. Waggy Wagstaff told me he was a practical joker with other members of the crew and they mostly called him "Pop" since he was almost twice the age of most crew members. Waggy loved to share stories of my Uncle Leonard aboard the ship when we would all get together. He said Leonard smoked stinky big stogie cigars. 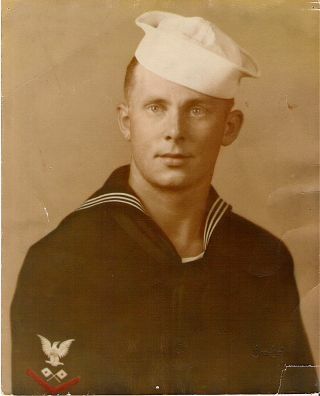 The son of Benjamin C. Hubbard (KIA) sent me this photo of his father. Many thanks Benjamin. 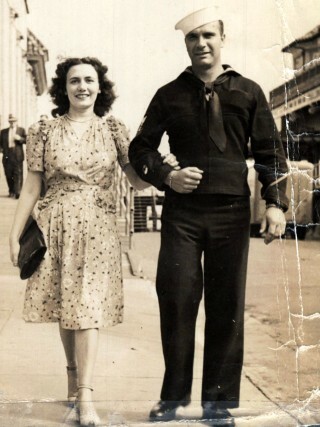 It is a pleasure to add your fathers picture to this page. Please also read the eyewitness account of the sinking that Ben provided to us and was a part of their family record. My father, Benjamin C. Hubbard Jr., was one of four children and was raised in Grand Rapids, Michigan.Â Upon graduating from high school in 1936, he went on to attend the University of Chicago and graduated with a degree in business in 1940.Â Instead of returning home to join the family warehousing business, he got his first job at the General Box Company in Cincinnati. 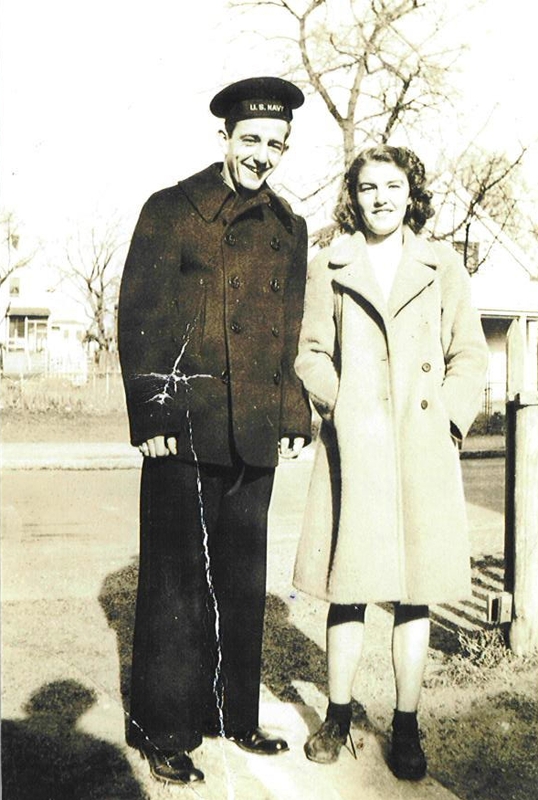 Shortly after arriving, he met my mother at a church concert, and they were married in late 1941. When the US entered the war, my father attempted to enlist but was rejected for military service due to a cyst on his spine. However, he persisted in additional attempts in the first year or so of the war because of his strong sense of duty to serve his country. 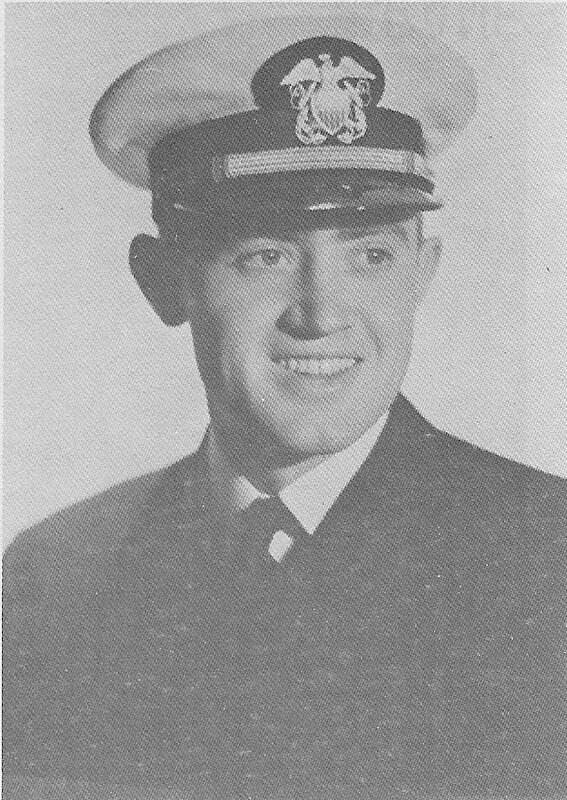 Finally, due to a shortage of officers, the US Navy instituted the “90-day wonder” program for anyone with a college degree; my father applied immediately and was accepted. Upon graduation from that program, he received a commission of Lt. J.G. 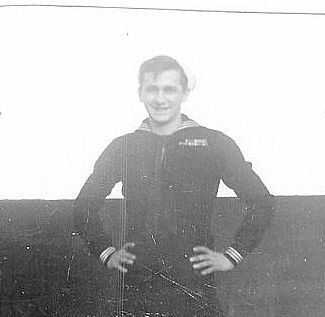 (Lieutenant Junior Grade) and was assigned to the USS Underhill. 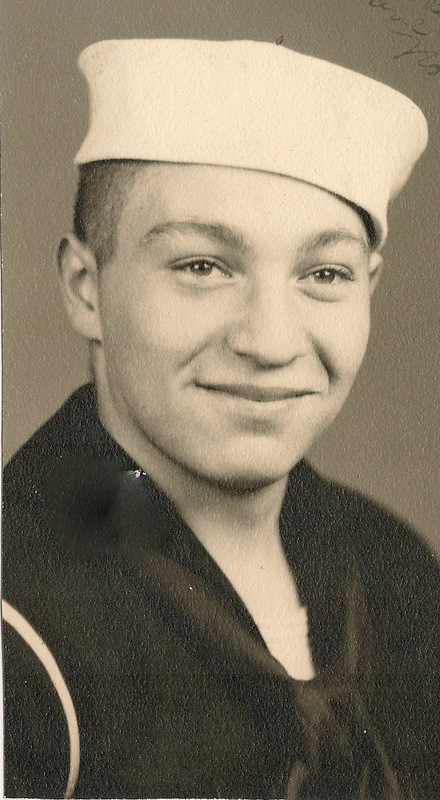 When I was born on May 4, 1944, my father was at sea on his first cruise on the USS Underhill. 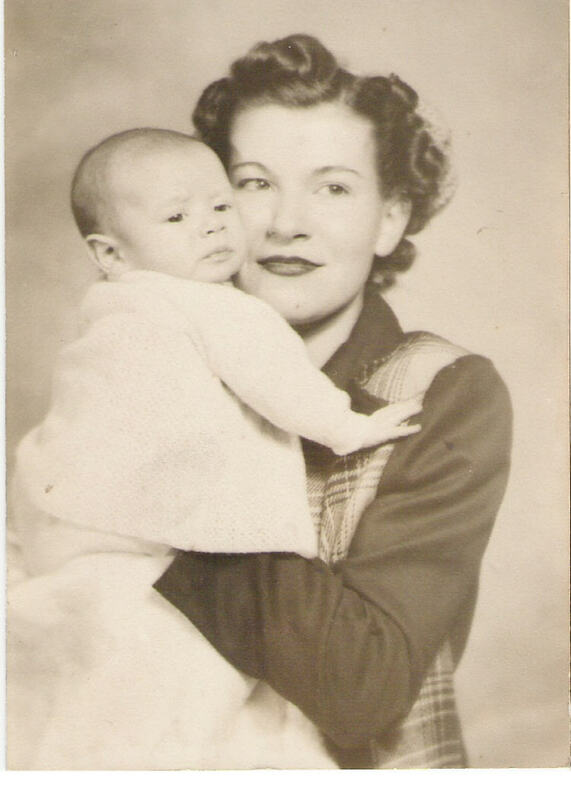 He saw me for the first time after the ship docked in New London, Connecticut and my mother made the train trip with me from Cincinnati to New London. 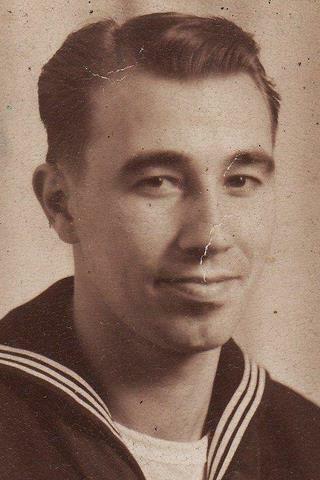 We were united as a family just one more time in early 1945 when the Underhill stopped for about a week in San Diego on the way to Leyte; my father made the cross-country trip by train for the short 48-hour visit at home. VINCENTÂ S. JOSS, raised in Manhattan, Kansas, hid the fact that he had a heart condition. 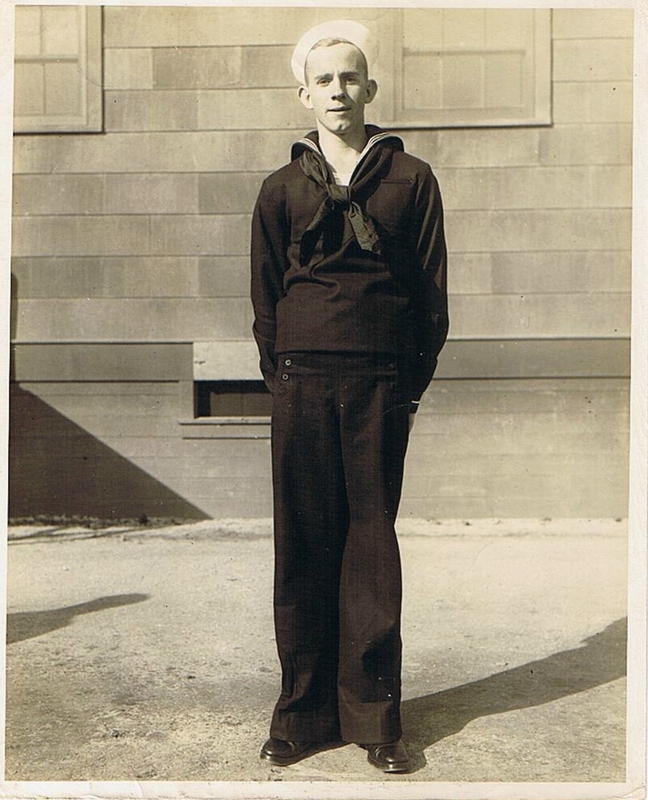 He did this so that he could join the Navy and fight for his country. 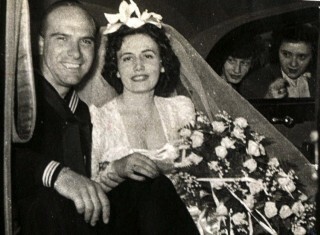 He took schooling in Champaign, Illinois to become a Signalman and got married to a Clinton, Illinois woman in December of l943. He had one child by Evelyn. 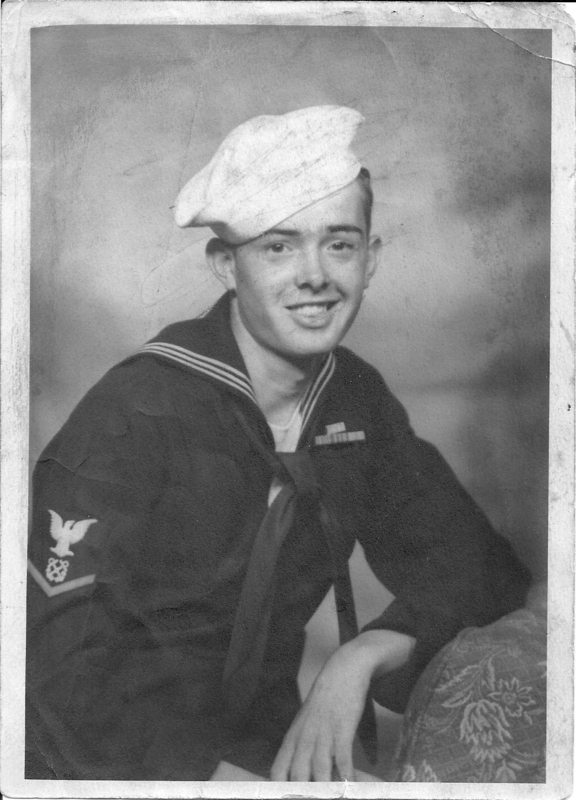 His son’s name was Roger Joss of Clinton, Illinois. 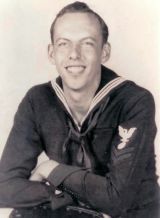 Vincent originally served on the USS Buckley, DE51 Fletcher Class in the Atlantic Ocean. 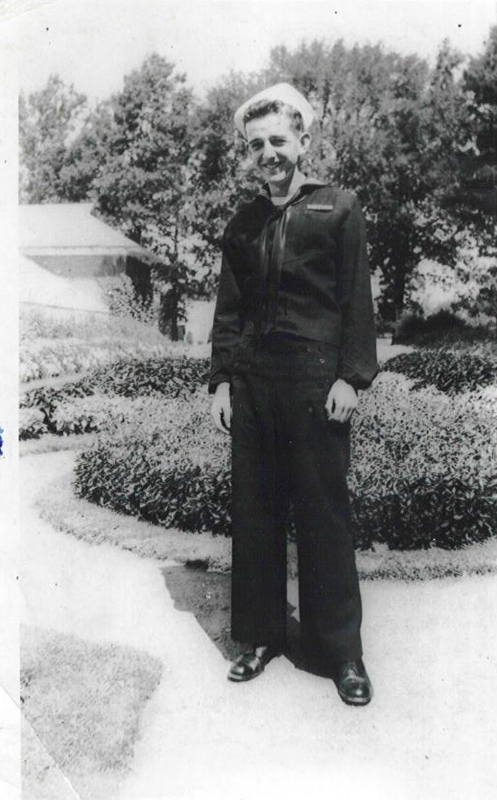 He transferred to the USS Underhill, DE682 Fletcher Class in the Pacific Ocean. 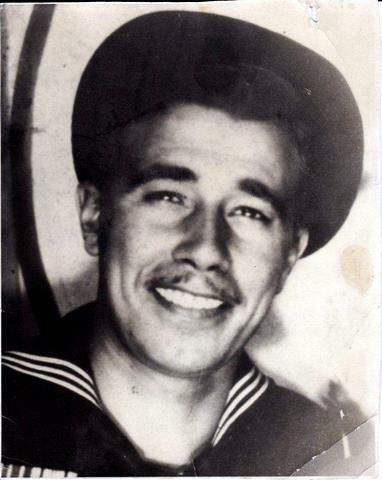 It was just off of the Philippines on July 24, 1945 that his ship sank. I found another picture of my Uncle, Richard Keneipp, pictured below in the middle. 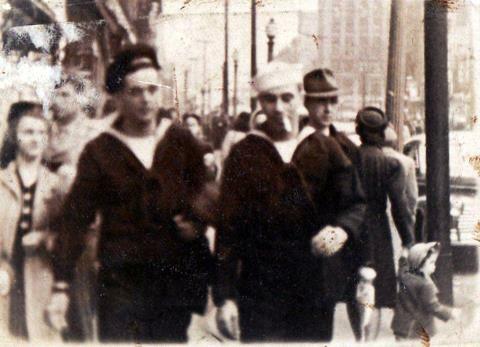 I do not know the names of the other sailors. My Uncle was killed aboard the Underhill. My Mom, Dorothy, and her sister Evelyn, were heartbroken for the rest of their lives. God Bless all who served. 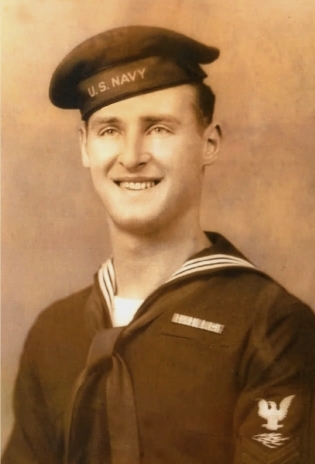 I found your website today while looking for some info on Robert Lacey who was killed when the USS Underhill was struck in July 1945. Robert was from the Wilkes-Barre area Pennsylvania and belonged to a loose group of guys called the Knight Kappers. This was the name given to the a large group guys serving in WWII by Floyd and Peggy Siegfried who were close friends of my grandparents. My grandfather was a WWI veteran and in his early 40's enlisted for WWII and served in the CBI Theater eventually becoming a Warrant Officer. Peggy was always "Aunt Peg" to us growing up. Peg and Floyd hosted the boys when they were on leave or in between schools -- you name it. They drank some beer and just socialized with each other. My Aunt started a weekly newsletter in April 1943 that she sent out to all the members during the war. I read of the account of their finding out that Robert (nicknamed Hot Tip) was missing and presumed dead. 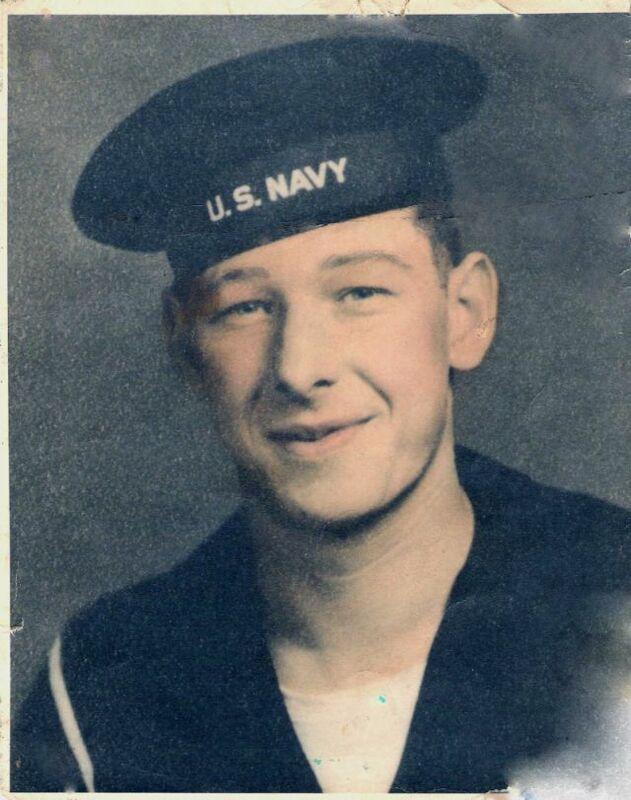 I run a small Facebook community called Knight Kappers in honor of the name, but honoring all who served in WWII. I just wanted to share with you what little I know of Robert's story. I don't know his family and actually don't even know if his body was recovered. But I did post some info to my page today regarding the USS Underhill. Thanks for running the site about the brave men of that ship. I am a third generation veteran (My grandfather: WWI and WWII, my father: Korean War, and me: Desert Storm). Feel free to contact me with any questions. I am sorry I have no picture of Robert to share. Photo submitted by his daughter. Tony is on the left and this was taken on July 25, 1945. It was good to meet everyone at the USS Underhill Reunion this year (2010). Our family had the opportunity to attend this year. 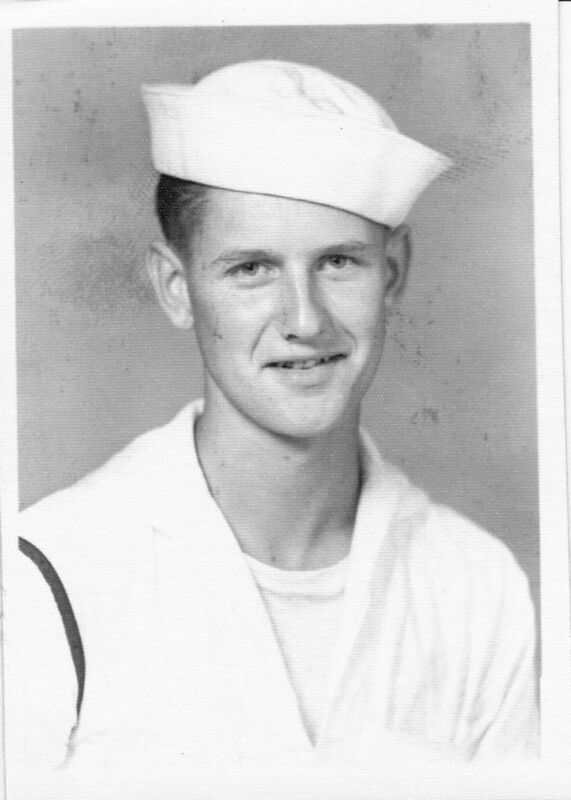 Attached please find a picture of my uncle, Gordon McCarty, for you to add to the website. 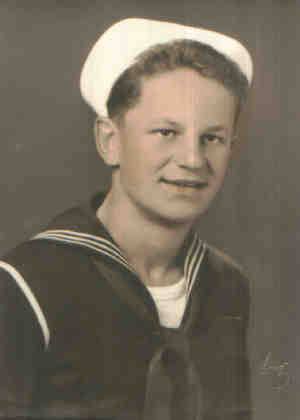 Gordon was a 2ND Class Sound Man, and was in the area of the ship that was hit. 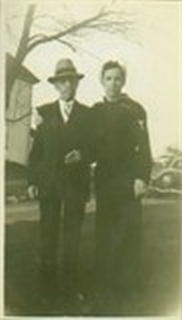 Picture of Norman F. McCarty and his Father. Link to the Memorial Page. Attached are two photos of John S. Murray, RM3 of New Bedford, Ma. 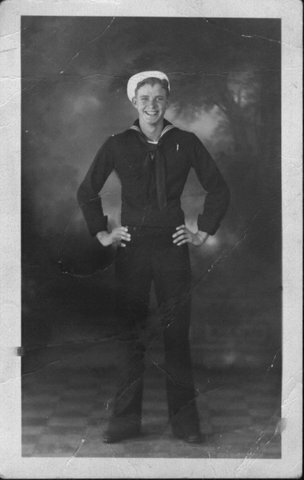 (KIA) One photo taken in the summer of '44 and another of him and his sister, Mary, in December of '44. John is 87 years old. Served on USS Underhill. He lives at an assisted living facility in Apopka, Florida. Submitted by his Niece Stephanie M. Crunkleton. Please see additional information about Ken HERE. Edwin Smith (KIA July 24th 1945). 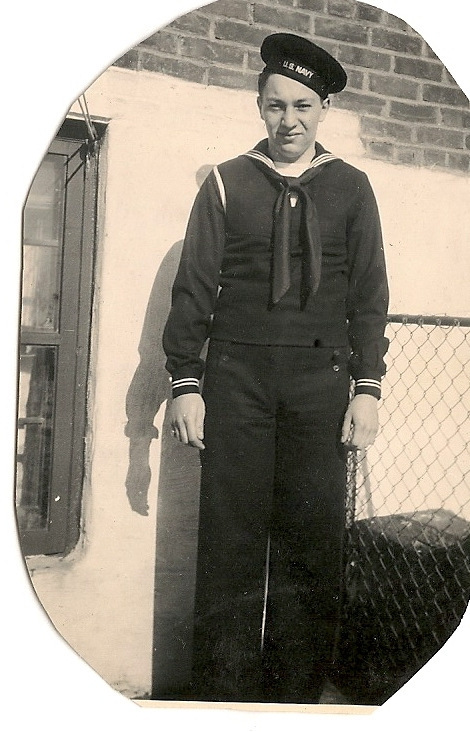 My father, George Kearney Thompson, was one of the surviving men of the S.S. Underhill attack. 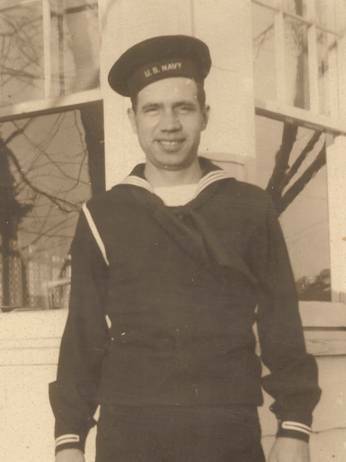 He was an electrician and mechanic on the Underhill and continued these skills after serving. My mom, Beulah Wicker Thompson, was teaching school in Kearney's home town of Taylorsville, MS. 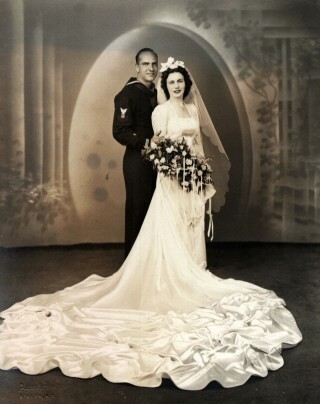 Still being in the navy, Kearney and Beulah married. They later moved to Atlanta, GA where he entered Emory Seminary to prepare for the ministry. Wanting to be a chaplain of a ship, they said that he was too old. He told the story many times of the Underhill bombing and how he had 'been missing in action', but then reported to the press that 'he was so much alive'! My mom was with him when the news was released. He was proud to tell of his adventures with traveling and going around the world. Being one of the men to operate the movie projector on board, he stated that he saw the film 'The Wizard of Oz' a zillion times and couldn't face it again. My parents have attended a few reunions. At 91, my mom loves to keep up with the current events of the Underhill reunions, but can't attend. 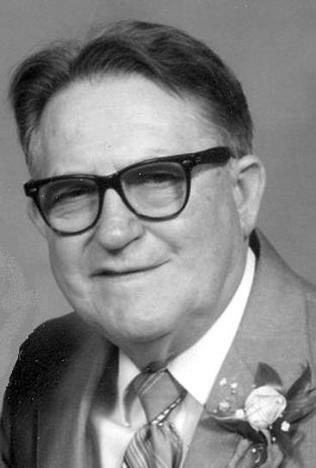 My dad died about 10 years ago at the age of 85. We enjoy looking at the many photos/metals he acquired and will remember his dedication to God and his country. 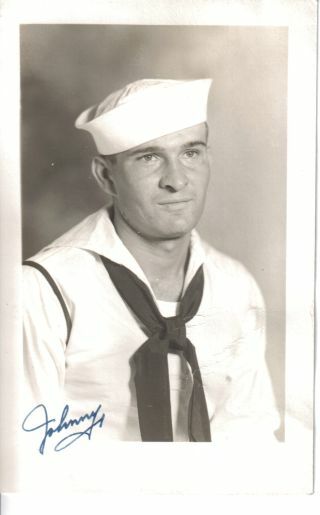 I found an old photo of my uncle that served aboard the Underhill. 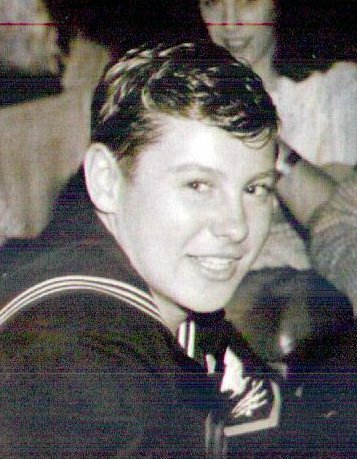 His name was"Richard Jackson Ward" and was known to his shipmates as "JW". See additional information about George HERE.